Kosta Ligris is an experienced entrepreneur, and the founder of the Ligris family of companies, a collection of professional services, real estate, consulting, and tech companies. Under his leadership, the Ligris companies have grown to become one of the largest residential conveyancing and transactional firms in Massachusetts. Along with its affiliated title agencies, ACES Title – the Ligris companies have overseen over $40 billion of real estate matters in the last decade, consistently placing them as the top agents for the country’s largest title insurance underwriters in New England. Kosta is the co-founder of Escrow Mint, a mobile platform to move real estate deposits onto a secure digital platform for real estate agents and brokerage companies. He is currently developing Stavvy – a digital real estate SaaS platform for closing and settlement of commercial and residential real estate credit products. 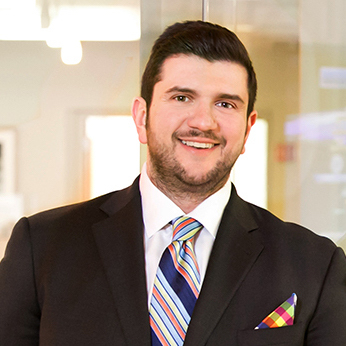 Kosta has been a mentor at MIT’s Leadership Center and has researched corporate engagement with MIT’s Innovation Initiative based in Kendall Square. He is passionate and has written about culture in the workplace and using tools to mitigate anxiety and stress for busy executives and professionals. When he is not practicing his amateur photography skills, he is an active philanthropist, serving various boards benefiting the St. Jude Children’s Research Hospital and the Beth Israel Deaconess Medical Center, to name a couple.